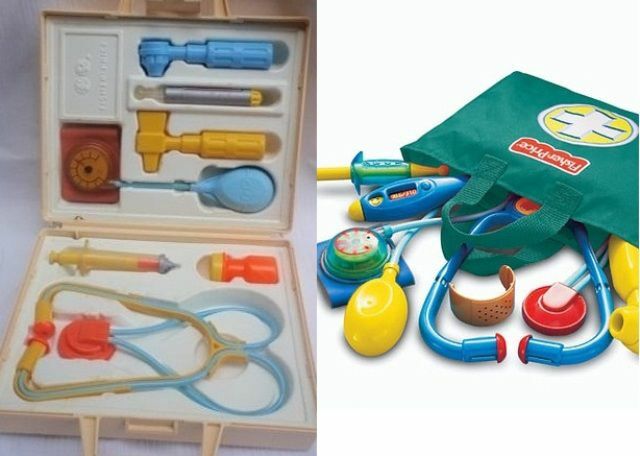 The Fisher Price doctor’s set now comes in a tote bag. 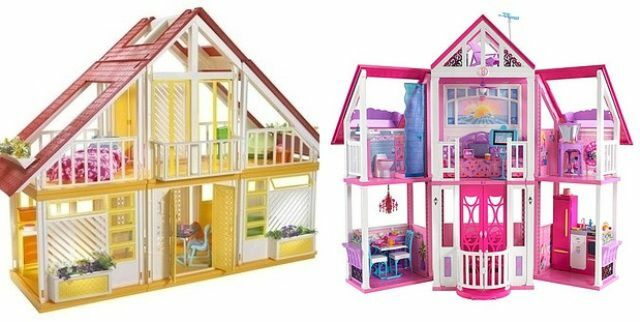 The Barbie Dream House in the ’80s and ’90s vs. The Barbie Dream House today, which recently got a renovation. ’90s Bop It seems way easier that present-day Bop It. Guys…Polly doesn’t even live in a POCKET anymore. The Easy-Bake Oven has had many a makeover. Today’s version may be the worst. OMG why is See ‘N Say so complicated now? Girl Talk 1.0 vs….Girl Talk: 1D?! How did this even happen? The world has been turned on its head. BTW, 1D=One Direction. You know, the band? Or something? The Little Tikes Cozy Coupe now has crazy eyes. At left, Mall Madness of the ’90s. At right, what happened in 2005. The Skip-It is now the Skip-It Twister Rave. Is this a symptom of our ADD society? We can’t just have a Skip-It, it also has to be a bad ’90s party and another game? Lite Brite is now Lite Brite with an LED Flat Screen. Kids. Optimus Prime got a Michael Bay makeover. The Power Wheels Barbie car is now a VW Bug convertible. That’s kind of a downgrade, right? Baby Alive’s hair is part of her head now…in a very unnatural way. Little People have gotten a makeover. Cabbage Patch Kid dolls…still as creepy as ever. The Littlest Pet Shop pups don’t even look like real animals anymore. Why are the faces of EVERYTHING so weird now? Strawberry Shortcake has clearly turned into one of those tweenagers you need to watch. Teenage Mutant Ninja Turtles still look fairly similar…just maybe a tad less aggressive? My Little Pony had wayyyyyyy too much plastic surgery. Fisher-Price adjustable rollerskates are still around. Clearly the originals are the koolest. What’s up with the new Magna Doodle…is it more ergonomic or something? 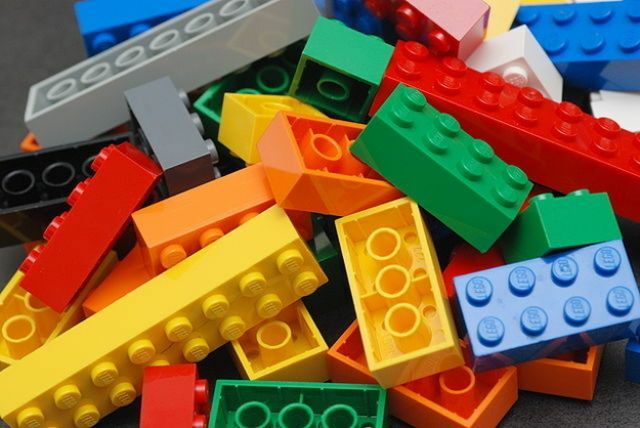 Of course, some things never change…don’t go changin’, Legos. Simply put, the 80's were the golden age of cartoons and action figures. There doesn't seem to be anything around just now to compete with the the style and complexity of He-man, G1 transformers, Thundercats, M*A*S*K, et al. Sure they were a merchandising exercise but genuine thought and care went into those shows and toys. Look at all the "re-imagined" second-rate knock-offs that are rehashes of these franchises. Laziness and lack of creativity and/or have all the good ideas been created already?